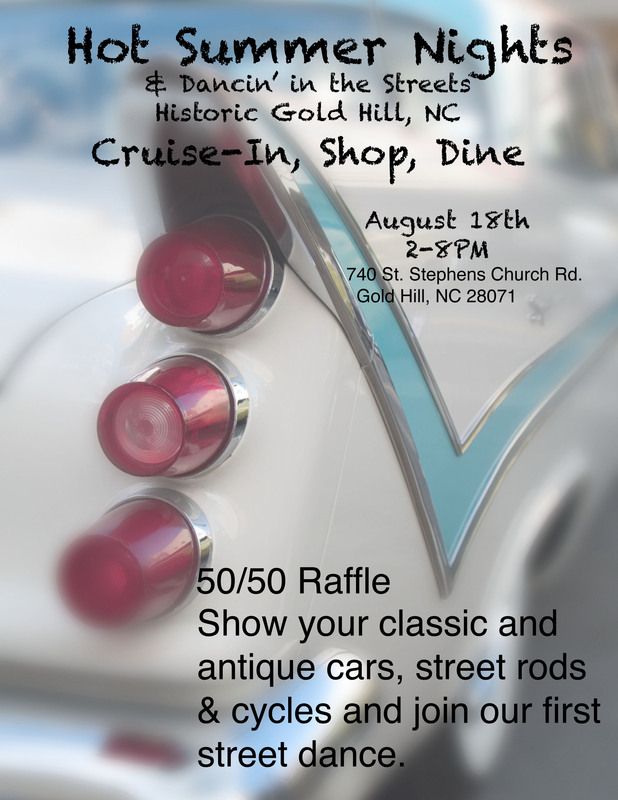 Hot Summer Nights in Gold Hill! August nights in Gold Hill can be hot and on August 18th we celebrate our annual Hot Summer Nights in the Village of Gold Hill. Bring your classic car or motorcycle to display. If you don’t have a classic, come and enjoy the ones here. This year we are adding “Dancin’ in the Streets”. Dance to your favorite oldies played by Gary our DJ. Mark your calendars for this fun event, August 18th from 2PM-8PM.